Chicas (in blue) presses the action. TACOMA, WA — San Francisco, California’s Johnathan Chicas (15-2, 7 KOs) added his second consecutive win since coming back from an eighteen month long hiatus on Saturday night at the Emerald Queen Casino in Tacoma, Washington. 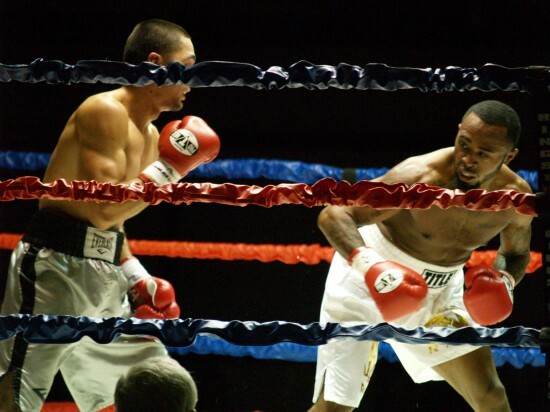 Fighting in the main event of Brian Halquist Productions’ Battle at the Boat 106, Chicas overcame a bad late-round cut and the long-ranged attack of Vancouver, Washington’s Virgil “Black Mamba” Green (11-5, 4 KOs) to edge out a close ten round unanimous decision victory. Gavronski, at right, lands his left hook. 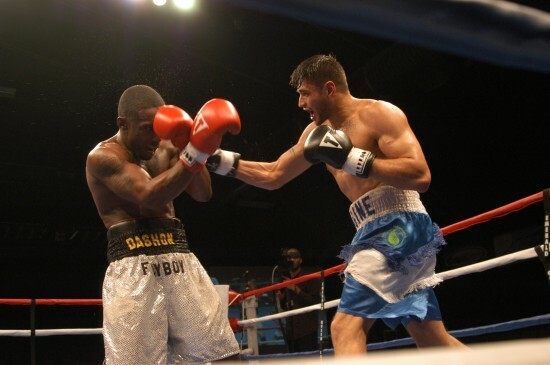 The Pacific Northwest’s top Super Middleweight hopeful continued his career resurgence last Saturday night at the Emerald Queen Casino in Tacoma, Washington with an impressive win over a durable opponent. 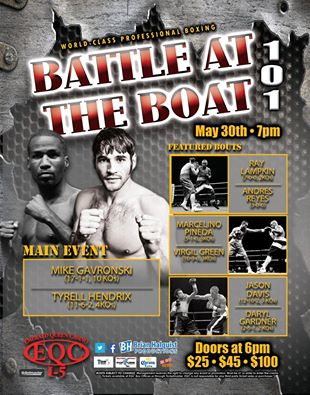 Headlining Brian Halquist Production’s Battle at the Boat 101, Mike Gavronski scored a ninth round TKO of over Los Angeles’ Tyrel Hendrix. The two had fought once before, battling to a draw in a closely contested affair that was televised on ESPN2′s Friday Night Fights. Gavronski left no doubt this time, punctuating the rivalry with a vicious barrage. This Saturday’s Battle at the Boat 101 at the Emerald Queen Casino in Tacoma, Washington is being met with quite a level of anticipation from Pacific Northwest fight fans. Tickets are reportedly going fast and with good reason; Brian Halquist and his Halquist Productions team have lined up one of the most intriguing cards in recent memory with six well-matched fights featuring some of the best fighters in the region. This year has already been a successful one for Halquist with two exciting shows that drew increasingly larger crowd and early indications are that this one may top both. 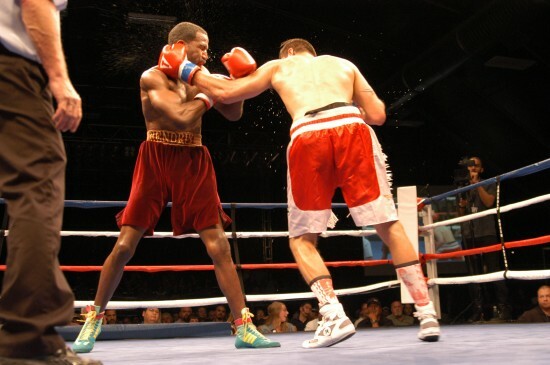 The Battle at the Boat series at the Emerald Queen Casino in Tacoma, Washington has remained a staple of northwest boxing for close to two decades now, holding steady as the most consistent show in the Pacific Northwest. As it closes in on it’s monumental 100th show, the series continues to bring great fights to the savvy northwest fight crowds and remains one of the longest running series of boxing shows in the country. This past Friday Brian Halquist Productions presented it’s 99th installment of the series to a sold out crowd, featuring some of the best talent in the area in well-matched, entertaining fights. Lampkin, at right, bangs his way into the pocket. 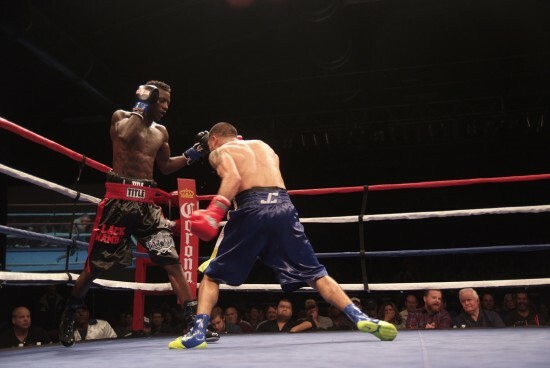 With a packed house of rabid supporters cheering him on, Portland, Oregon’s Ray Lampkin Jr. shook off a years worth of rust and claimed the vacant lightweight Northwest title last Friday night at the Seven Feathers Casino in Canyonville, Oregon. In the headline bout of the Ringside Tickets Inc. card, Lampkin scored a decisive five round unanimous decision win over the well-regarded Ricardo Maldonado.